The Algoma Kendo Club was formed in the fall of 2008. It began with less than a handful of members but has grown steadily since. 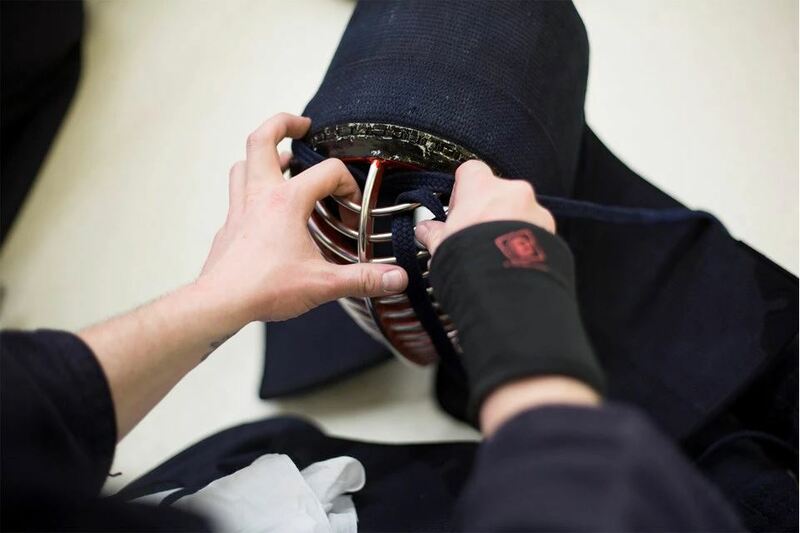 The club is a recognized dojo affiliated with Canadian Kendo Federation. We're overseen by a rokudan renshi kendoka (6th degree black belt) who is an executive of the Canadian Kendo Federation (CKF) and has competed with Team Canada at the World Kendo Championships. Our fearless leader, reminding us that it takes about 20 mins to do 1000 Hay-Suburi. Highest ranked local member, the one with all the mad drills and all the mad skills. Club's official Japanese translator, with an affinity for matawari suburi.